b) a pile of unlabeled black bags filled with two wardrobes worth of clothing, heaped in no particular order. If only I'd had the nerve to actually wear one of the many pairs of fleece pyjamas I kept stumbling across in my attempts to find something suitable. In fairness, I probably shouldn't have left my packing until two hours before my train to Helen's. I always think I'll be hit by last minute inspiration and what I end up with is hastily shoving mismatched separates into my hideous gym bag (currently doubling as a weekend bag so that I look like a school child). 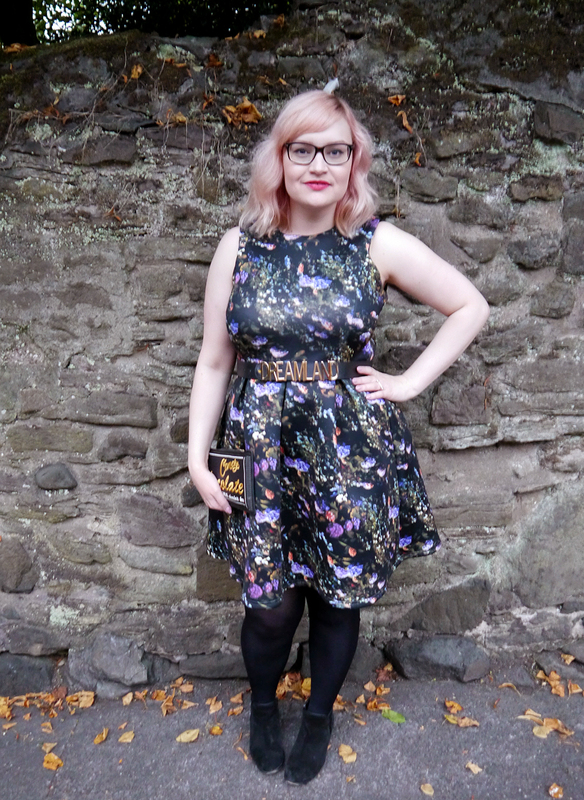 In the end I managed to pull together a simple evening look with a galactic digital flower print and some fun accessories. 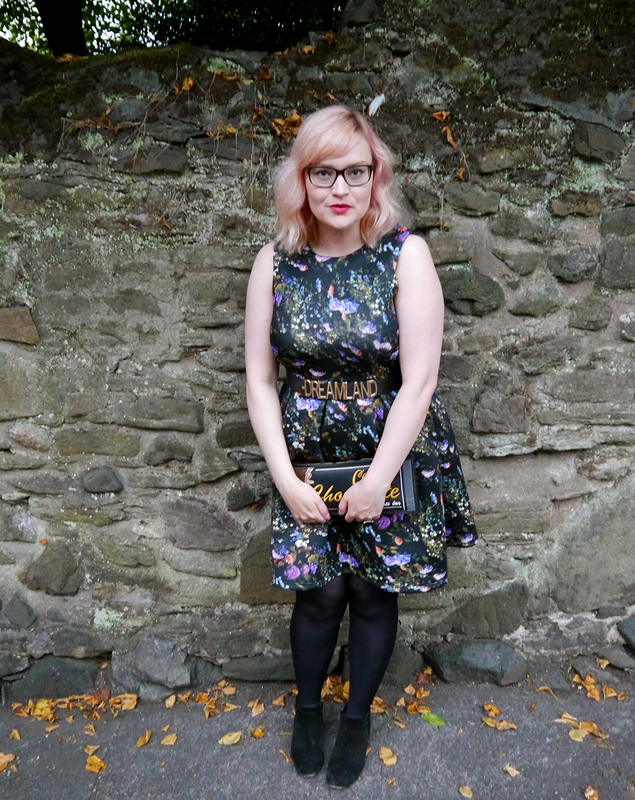 I last wore the dress to the wedding reception of our fave body casters, Poppy and Luis of Edinburgh Casting Studio. 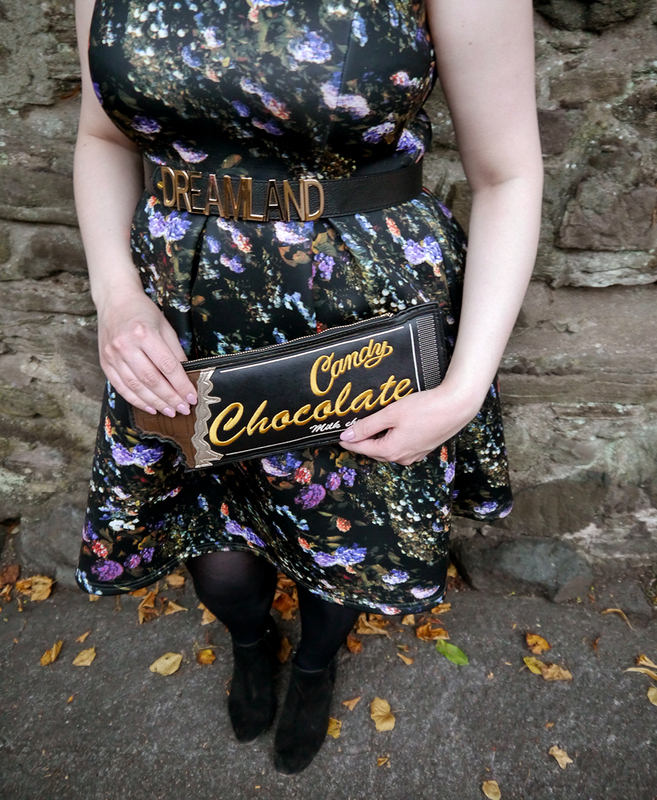 It's a very 'me' shape and print but it's a size too big so I raided Helen's newly built wardrobe to find a belt to pull it in. 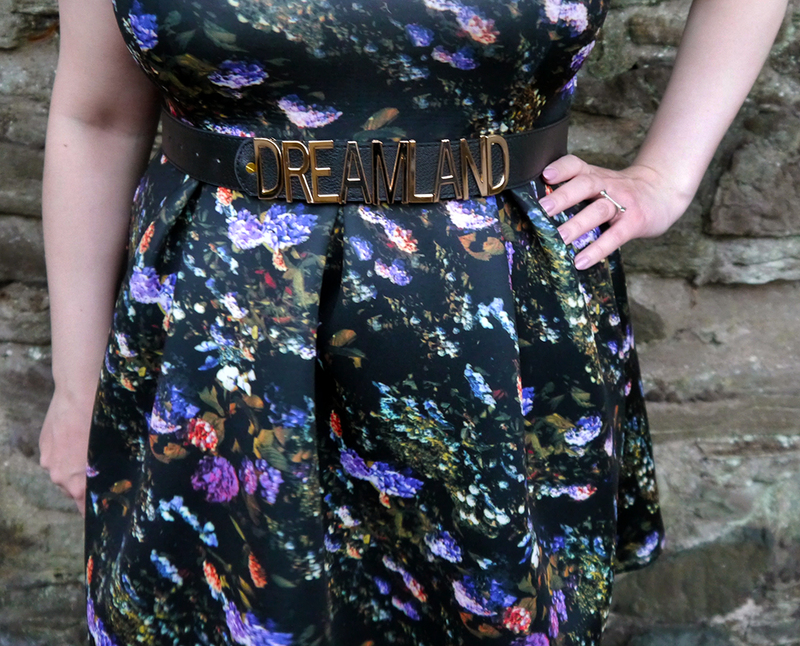 This new addition to the growing Dreamland collection reminds me of the much coveted Moschino belt. Or a wrestling belt. I love it. 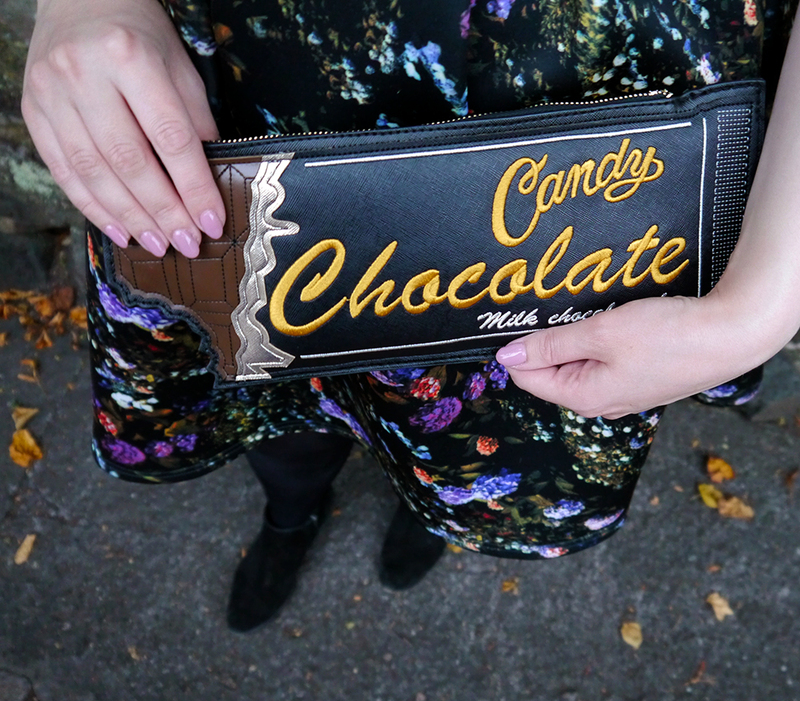 The Willy Wonka inspired oversized chocolate bar clutch was also borrowed as a fun twist. My favourite find for this look was actually my lipstick. 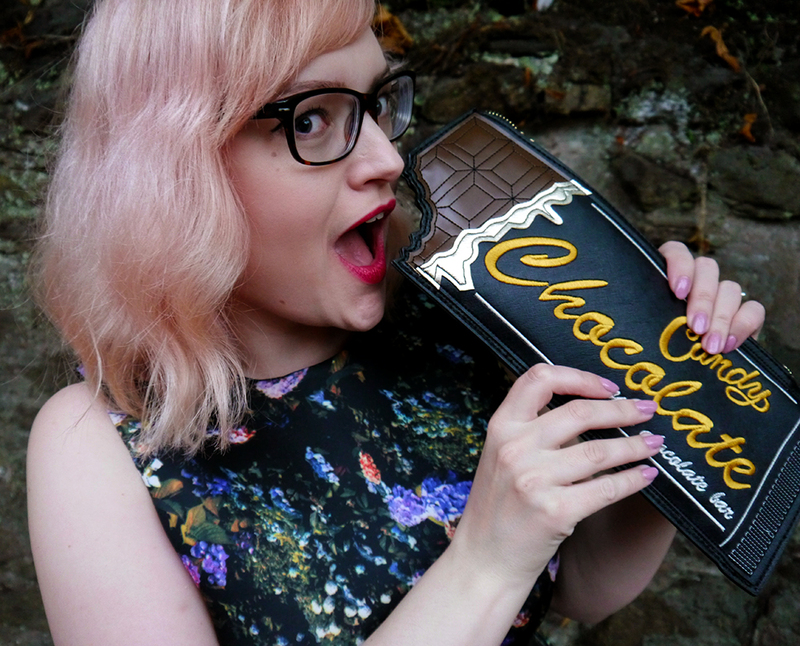 It was a really cheap MUA one I'd bought for our Victorian Portrait shoot last Halloween but ended up wearing for my Unlikely Style Icon before dumping in a drawer of tried-and-forgotten beauty products. This time around I kept it slicker with a coat of MAC's lip moisturiser on top. 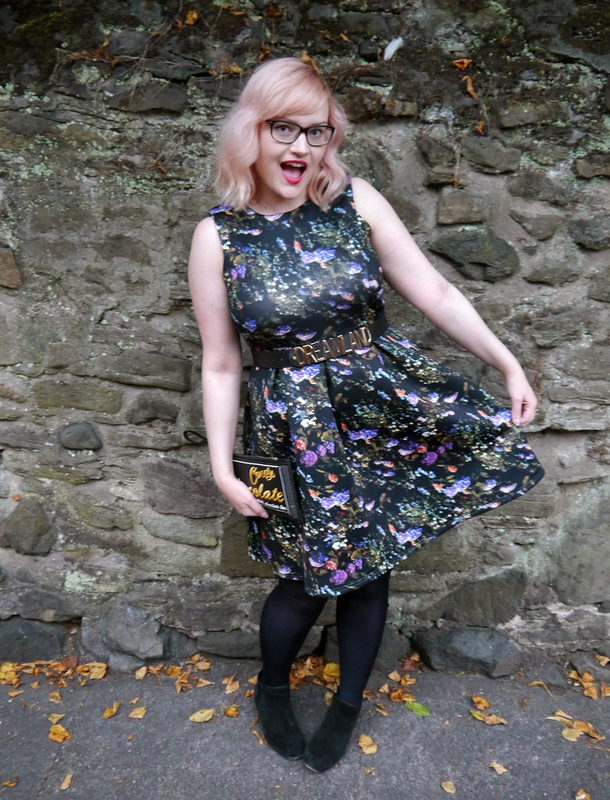 It's my current favourite addition to my Autumn palette, so perhaps this moving malarky has it's perks! That belt is superb :) love the outfit.